Mark your calendars, ice cream lovers, Ben&Jerry’s Free Cone Day is coming up next Tuesday! And the best place to get some free ice cream? Right here at Los Angeles Union Station. 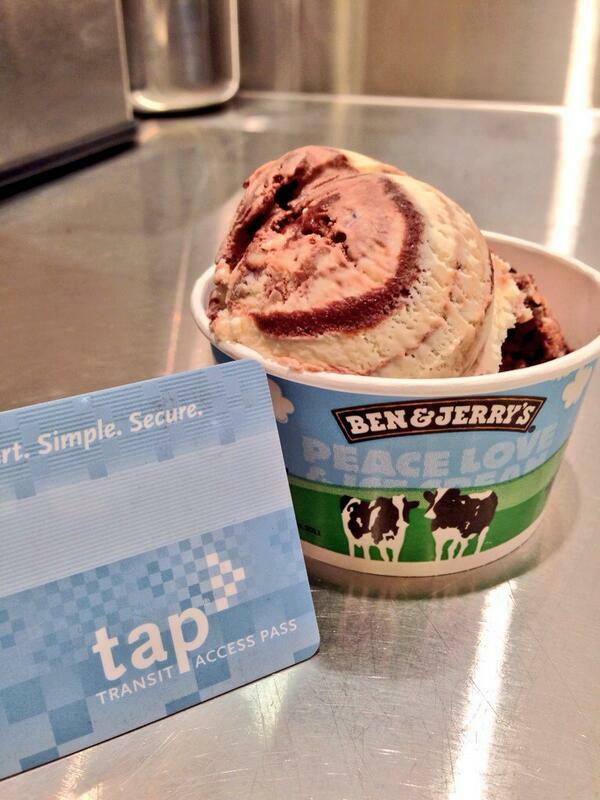 And if your free cone isn’t enough to satisfy, take advantage of the Union Station Ben&Jerry’s TAP card Tuesday. Just show your TAP card to the cashier on any Tuesday and save 10% on all scoops, milkshakes, smoothies, and sundaes. The ways to Union Station are many! You can get here by train, bus, bike or foot. Check Trip Planner for routes and connections. Go Dodger Stadium Express to Opening Day!